The days of battling to swim around a creepy crawlie are gone with the huge range of different pool accessories available on the market today. Choosing your pool equipment and accessories will vary greatly depending on the vision you have for your pool, and how you plan to use it. At NQ Pool Warehouse we have a variety of different options to choose from, so its important to have a clear vision about what you want, so you can talk to us about all aspects of the pool before we go ahead with installing it for you. Read on for information about some of the interesting pool accessories and equipment that are available, or talk to us today about what other pool equipment and accessories we have to suit your needs. Too Cold to Swim? If you are an avid swimmer and want to use your pool all year around you may decide to opt for pool heating, to ensure that you can dive into a warm pool, no matter what the weather is like outside. 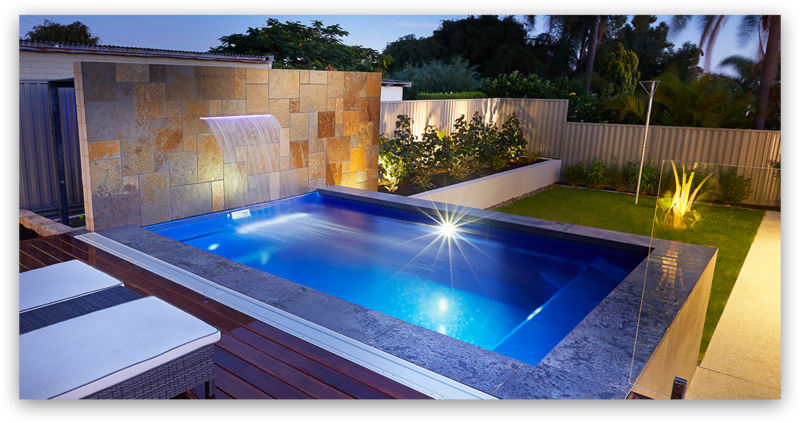 The Evo Heat pool heating systems are some of the most economical on the market, helping to keep power bills at a minimum while still providing a warm pool, all year around. Mineral Pool If you are keen on having a pool to swim in every day but you don’t want to dry out your skin and hair, the Astral Pool Therapy system can transform your salt water pool into a luxurious mineral bath. This system is a blend of minerals that is added to a salt or freshwater pool or spa to soften the water and turn it into a relaxing, rejuvenating experience for the whole body and mind. Zodiac MagnaPool System An alternative to the traditional pool systems, this system uses a natural combination of magnesium and potassium. Magnesium has a well known muscle relaxant that naturally detoxes your body and relieves anxiety, aches and pains as you swim. Additionally it does not use any harsh chemicals so MagnaPool diluted backwash water can be used to water your garden. Kids Paradise Turn your pool area into a kids paradise with a huge variety of different S.R. Smith pool accessories to choose from including pool slides, diving boards and pool games. QuikClean In-floor Cleaning System This system allows you to enjoy your pool while it is being cleaned, and you won’t even know it is happening as it can be programmed to sweep debris from the floor of your pool with maximum cleaning power and efficiency. The best part is that you won’t even need to lift a finger. Robotic Pool Cleaner The AstraPool RF Robotic Cleaner cleans the average pool in less than two hours, utilising the latest gyroscope technology, and will use 80% less power than suction or pressure cleaners. It is silent as a mouse, so you won’t even notice it is there, but your pool will be sparkling clean all year around.